Storing your polishers has never been easier! Speed Master Polisher Racks are a heavy-duty powder-coated metal rack designed to hold and store your dual action and rotary buffers. Each feature has been well thought out and provides the maximum safety and security for your expensive machines. The rubber lined lip protects the underside of your polisher, while the bottom rack can be used for cord storage, bottle storage, or anything storage! 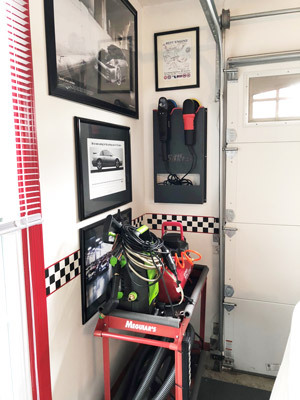 Keep your garage clean and organized and your tools safe with Speed Master Polisher Racks! Machine polishing and buffing can make your detailing life exponentially easier – but quality products come at a cost; and in this case, the cost of a quality polisher can cost you quite a bit. Just like using a coating on a car, protecting your polisher is really like protecting an investment and making sure that your polishers are properly stored and secured is important. 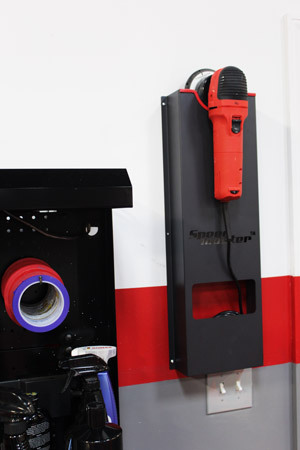 Speed Master Polisher Racks allow you to hang your polishers on your garage or detail shop wall – safely! 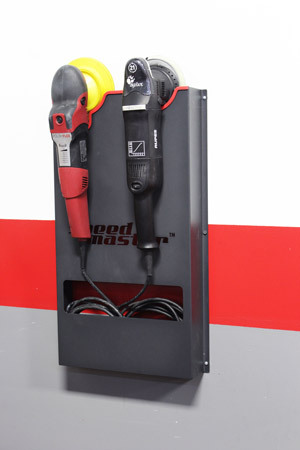 Speed Master Polisher Racks allow you to hang your polishers on your garage or detail shop wall – safely! At some point during a machine detail, you must have became aware of just how tricky it is to set your polisher down for a quick minute. Do you rest it pad down and risk it falling over? Or do you rest it top down and risk damaging the paint? RUPES made sure they featured a rubber tool rest on top of the machine when they re-engineered their BigFoot LHR 15 and 21 polishers, but what if you don’t have that machine? Speed Master Polisher Racks provides a solution to this! Simply rest your machine in the rack’s rubber lined lip and pick it back up when you’re ready to continue! When you run any kind of detailing business or body-shop, the key to productivity and success is often organization. Keeping all of your products in their proper space allows you and your workers to quickly get what you need and continue doing what’s most important – detailing! Speed Master Polisher Rack, whether you have the single or the double, allows you organize. Hang the machines you’ll be using that day on the rack and you’ll have everything you need right at hand! 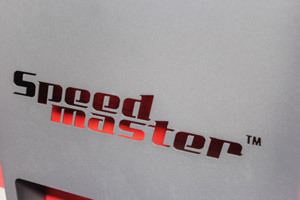 Each Speed Master Polisher Rack features a laser cut Speed Master logo and an attractive black finish with red rubber accents. 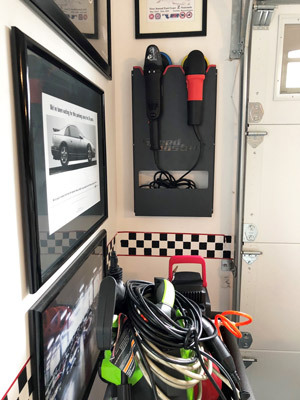 Constructed of a durable, powder-coated metal, Speed Master Polisher Racks secure to your wall using multiple contact points that ensure stability. 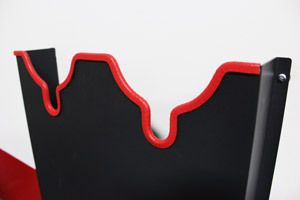 Each Speed Master Polisher Rack features a laser cut Speed Master logo and an attractive black finish with red rubber accents. Not only will the Speed Master Polisher Racks serve an organizational purpose, they also make provide aesthetic value! Speed Master Polisher Racks fit everything from the smallest, like the RUPES iBrid, to the biggest and heaviest, like the Dewalt Rotary! The Speed Master Polisher Racks complete the look (and organization!) of any detail shop or garage! These polisher racks are amazing. We have them in out mobile detailing trailers. Wow this is an awesome little gadget! I am definitely looking into getting one, it will definitely come in handy. Thanks for the all the awesome products!